Students at the University of California, Berkeley are looking into becoming the first university with a dorm used as a sanctuary space for undocumented students as well as community members. Christian Cázares reports. Students at the University of California, Berkeley are looking into becoming the first university with a dorm used as a sanctuary space for undocumented students as well as community members. Those fighting for the safe space presented their concept at the student government meeting Wednesday after 500 signatures were collected supporting the effort. 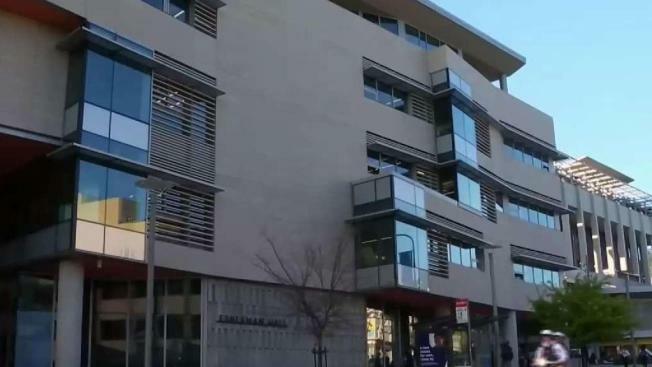 Members of the group By Any Means Necessary (BAMN) said they want the student-owned and operated Eshleman Hall to be a sanctuary for immigrants. "Here students at Berkeley are taking the lead and defending immigrants’ rights from ICE and attacks from Donald trump and to recognize that everyone in this community with or without papers belong here and have the right to be here," said BAMN national member Yvette Felarca. NBC Bay Area reached out to ICE and UC Berkeley for comment but have not heard back. Meanwhile, students said they will continue to push this effort until it’s on the agenda for a vote.